On Fountain Pens » Back from my holiday! Hey dear Readers, I am finally back from my two-week Spain and France trip! Actually I already touched down in Singapore on the night of 12 May, but there had been so many stuff going on that I really hadn’t the time to reply to stuff, read all the Twitter posts I missed, read all the blog posts I missed, nor even BLOGGED! Don’t ask me what happened, it’s a long list of long stories. Sadly as my trip was really rushed, I hadn’t the time to buy anything in Spain. But there I saw pens that looked identical to the kikki.k gel pen that I bought and reviewed not long ago, except for the patterns! No Silver Flower patterns, but with other designs. I didn’t buy them and I don’t know why. Now I regret. 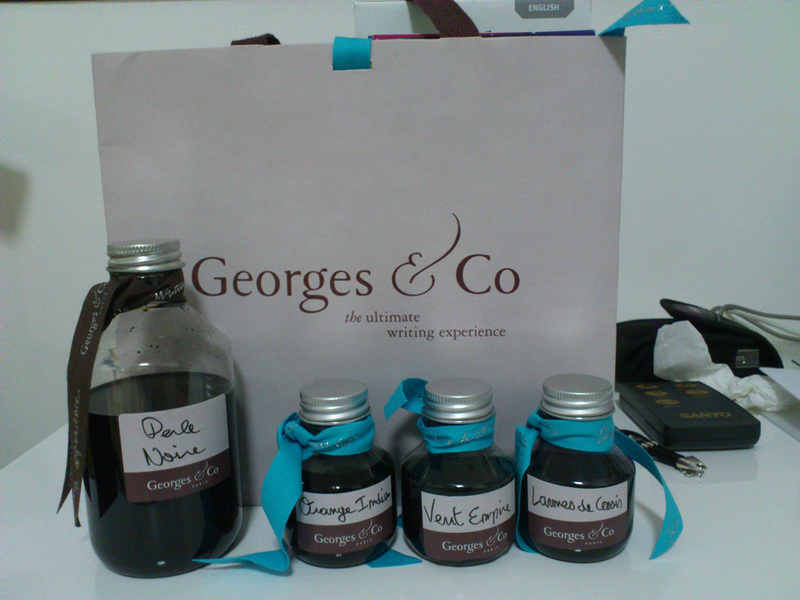 The whole lot of stuff that are displayed in the above pictures were all bought from one single store: Georges & Co. in Paris. I will talk about them in another blog post as soon as I can, because it’s a really awesome store! I should write something about them today but my pictures of the store which have been taken by my boyfriend have not been transferred to me yet, so let’s wait a few days! Looks like I’ll have to do lots of reviews soon! 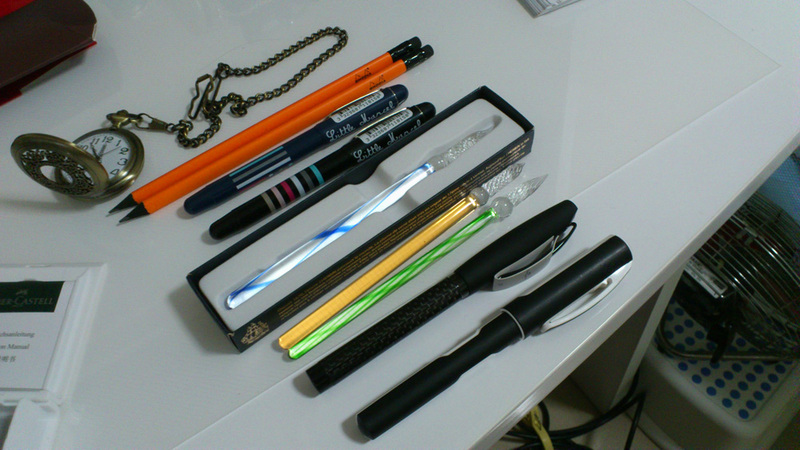 I haven’t even finished reviewing all the EXISTING pens that I own yet. By the way, I discovered today that Notebook Stories is organizing a giveaway of a Monsieur Notebook, interested? Click here for details! Yes I will try to write a review soon! 🙂 Thanks for dropping by, check back again soon!